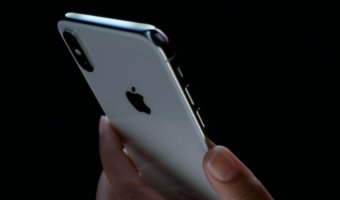 Bharat Sanchar Nigam (BSNL) has launched free call forwarding facility to BSNL landline numbers for its prepaid as well as postpaid mobile subscribers. The new facility branded as “Free to Home” will be available with effect from May 30, 2016 on PAN India basis. “Free to Home” facilitate allows all BSNL mobile subscribers to forward calls from their mobile number to any BSNL Landline numbers. The facility will be offered free of cost to calls forwarded to Landline numbers within LSA and will continue to be free even during roaming. However, calls forwarded to landline numbers outside the LSA will be charged according to existing tariff. The latest move from BSNL is aimed at reviving its landline service which is currently on a sharp descent. 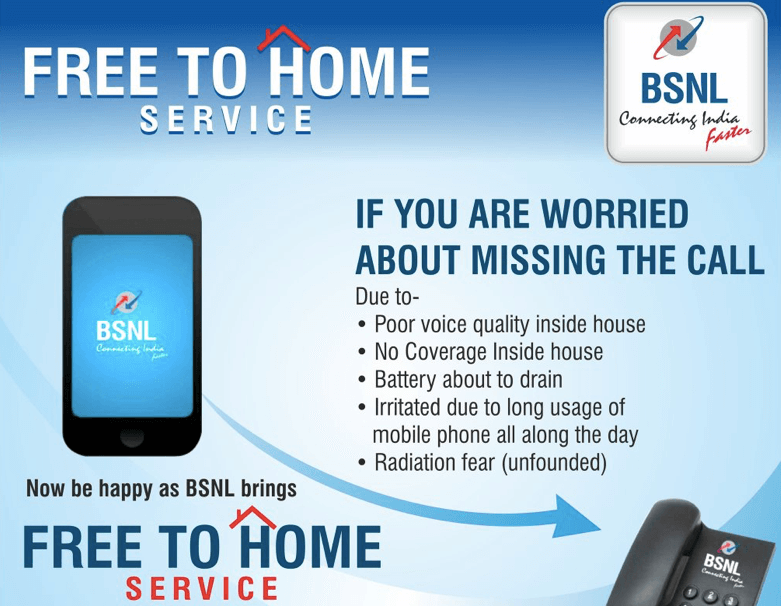 Earlier BSNL had introduced free night unlimited calling to any network in the country between hours of 9 PM to 7 AM. 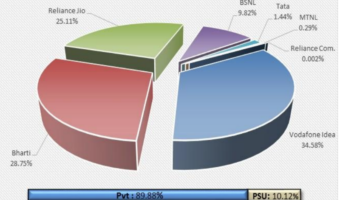 However, BSNL landline continues to decline as more and more users move to mobile network. Good move by our BSNL. 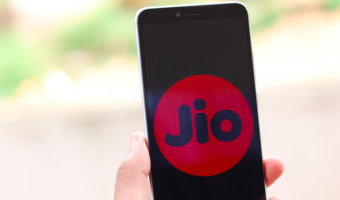 They are now launching lot of new plans and offers . Keep it up . For the interest of our great nation.